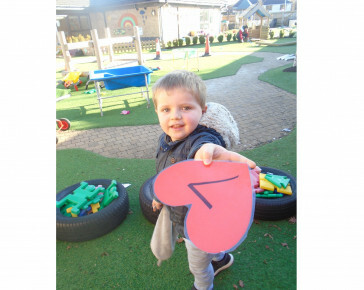 The children and staff here at Busy Bees Day Nursery in Rushmere had a 'Happy Hearts' day to celebrate Valentine's Day this year. 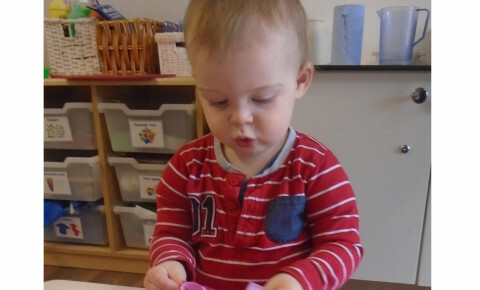 Everyone came to nursery in their favourite red clothes to share the love. 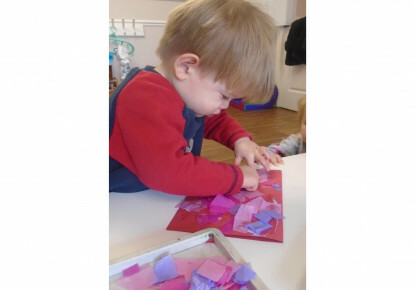 Our babies had lots of fun making love collages with pink lilac paper and card. Maxwell particularly enjoyed this activity. every time he stuck down a piece of tissue paper he said "Sticky, Love you." Oakley thought the paper was good enough to eat! 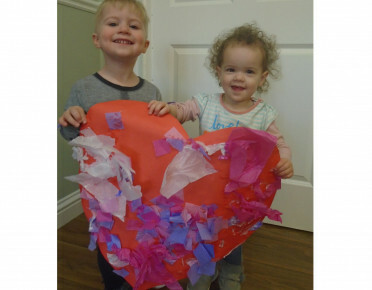 Our two to three year old children worked collaboratively to produce a giant heart shaped collage for their new display on love and friendships. Pre-School became number detectives for the day. 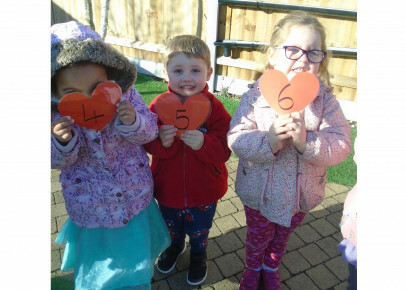 The children had to hunt both indoors and out for all the hearts with numbers on and then work as a group to order the numbers from smallest to largest. 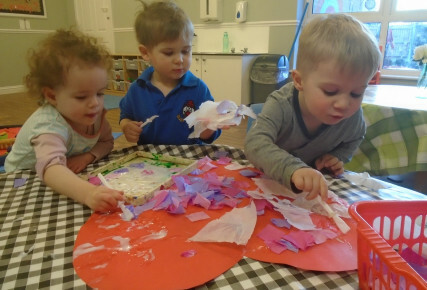 This activity provided the children ample opportunities to explore number and use mathematical concepts whilst problem solving and finding solutions. A 'lovely' day was had by all.